An often deadly virus like Ebola is tragedy for thousands of people. For others it’s the chance to make some cash. The first time I read about Ebola was in Outbreak, a 1980s “medical thriller” by doctor-turned-writer Robin Cook. It starts with an American student in 1976 Zaire who gets infected with Ebola and spreads the disease to a bush hospital. From there it takes a quick jump to big cities and causes an epidemic. With glee Cook reported the high mortality rate among Ebola patients and the symptoms of the final stages, when the unfortunate infected soul sometimes vomits his entrails in a black soup of blood and tissue. Exitus follows. There are 946,000 children attending New York City schools, and only one of them — an unidentified second-grader enrolled at an undisclosed school — is known to suffer from acquired immunodeficiency syndrome, the dread disease known as AIDS. But the parents of children at P.S. 63 in Queens, one of the city’s 622 elementary schools, were not taking any chances last week. As the school opened its doors for the fall term, 944 of its 1,100 students stayed home. Which takes us full circle. Back then panicked parents boycotted sending their children to school because of AIDS. Today airport workers not even involved with international flights refuse to clean planes because of Ebola. Nonbelievers always try to say natural cures are fake. They are not. […] If you believe in the power of real natural food you cannot in good faith disbelieve the healing powers of natural medicines. Just have faith and trust in experienced practitioners whether in the good food movement or in alternative medicine and all will be healthful and vital. Only that that comment wasn’t made in 1987, but the other day, by a commenter on Marion Nestle’s blog, who dared to be critical about “alternative” Ebola treatments. When someone with a stethoscope around her neck tells you “we are one plane ride away from a cataclysm” you know you are watching an authority. Or rather, you know you are watching someone whom too many people will perceive as an authority. To her listeners it doesn’t matter that the “evidence” consists of a couple of declassified Powerpoint slides from a line of research that never claimed it found a cure against Ebola. Your consultants promote your above mentioned doTERRA Essential Oil products for conditions including, but not limited to, viral infections (including ebola), bacterial infections, cancer, brain injury, autism, endometriosis, Grave’s Disease, Alzheimer’s Disease, tumor reduction, ADD/ADHD, and other conditions […]. For another perspective let me tell you about Marburg. In 1967 this pleasant little German town gave home to a research laboratory, that used imported African apes for tests. Some of them were infected with a virus related to Ebola, and their handlers contracted it. As the first symptoms looked like any old flu, the workers were transferred to a regular hospital in town, where they spread the virus to other patients, nurses and doctors. Only when the first people died, officials realized that something worse was going on. At that point the infected already had had contact to countless people and I reckon “Dr.” Laibow would have told us about the end of civilization as we know it. But despite the lateness of the countermeasures, the epidemic was contained. In the end 31 people contracted the virus, of whom 7 died. Since then Marburg (it was named after the city) resurfaced 30 times and killed 800 of 1,100 patients. The vast majority of them in Africa, where sanitation and medical facilities don’t come close to 1967 Germany, let alone the levels industrialized societies reach today. There is no known cure for Ebola. The best we currently have are some experimental drugs and vaccines and if they work remains to be seen. And yet that’s no reason for panic. The US Ebola cases that currently scare so many people are testament to the fact that American precautions are working. You only know about them because of it. If there was any area with a sudden concentration of people with flu-like symptoms, containment and news reporting would happen in the blink of an eye. The person with fever sitting next to you with overwhelming odds has a simple cold. But if, as highly unlikely as it is, it really was Ebola, you won’t be immune because you bought a $50 bottle of a wonder cure. Pictures courtesy of the US Navy and the CDC. You always provide an interesting read EC. It is amazing how many otherwise intelligent and rational people I have talked to about ebola with ridiculously irrational ideas. Remember we saw similar a couple of years back with the swine flu? You can imagine what the world looked like when the Spanish Flu rampaged a hundred years back. I’m waiting a little more to see how it unfolds before writing about Ebola. One thing that disturbs me is the contradictory information on when and how it can be communicated, as well as the apparent problems at administrative levels. Yes, the inconsistencies about mode of of transfer struck me too. 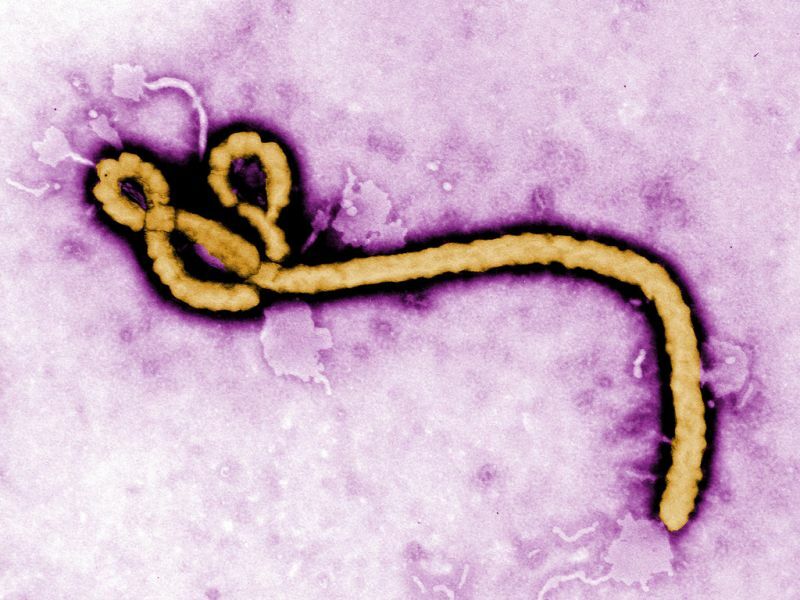 AFAIK, previous Ebola strains were able survive for several hours on surfaces.